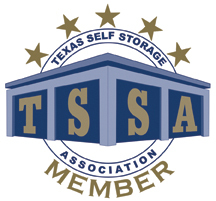 Have A Question About Our Storage Cresson- Check Here First! We have 70 units available wide range of sizes, the roof is pitched so heights are generally around 12-14 feet and some have climate control. Do I have to book and give notice? Pretty much anything. There is a list of prohibited items within our Terms & Conditions page. They include firearms, combustibles, chemicals, compressed gas, illegal substances or illegally obtained items – and living creatures! NB Police and Customs have powers to enter your room, subject to serving notice on us. Click on our space calculator for a quick estimate of your requirements. Contact us if you need further guidance. What do I need to bring in when I book in? You will need to that you bring proof of address and photo ID with you or we may not be able to book you in. Examples of acceptable documents include photographic driver’s license, passport, company ID card (photo) and utility/insurance bill (dated within the last six months). Lastly, you will need to have insurance. We do not charge a security deposit, but we do require a 1-month minimum payment in advance, a $20.00 one time set up charge, and a $13.00 one time charge for your padlock.. Depending on when you move in, typically payment is the remainder of the first month pro rata with the second month in full in advance. We accept all major credit/debit cards and ACH. We also accept cash for rent. You must pay for a minimum of one month rent as you move in. Not automatically. You must confirm you have insurance coverage for your goods. Most household contents policies do not cover goods in storage. 24/7. Normal access hours are 7 a.m. to 9 p.m. Outside of these hours please call and we will give you a separate gate access code and/or we can remotely open the gate for you.